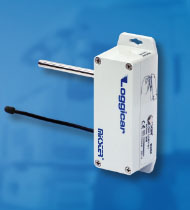 The Loggicar-R thermograph is designed for temperature monitoring in refrigerated trucks. 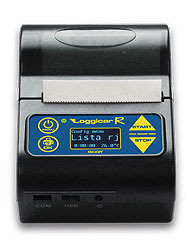 It can be wirelessly connected with 4 sensors (e.g. 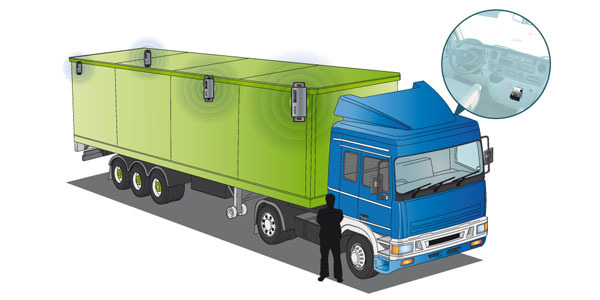 refrigerated storage, evaporator air inlet and outlet, product temperature) and 4 binary signals (side and back door opening, defrosting, refrigerating unit operation). 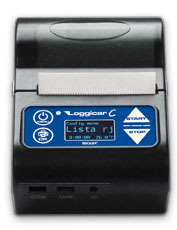 The device provides full control over the refrigerated truck.